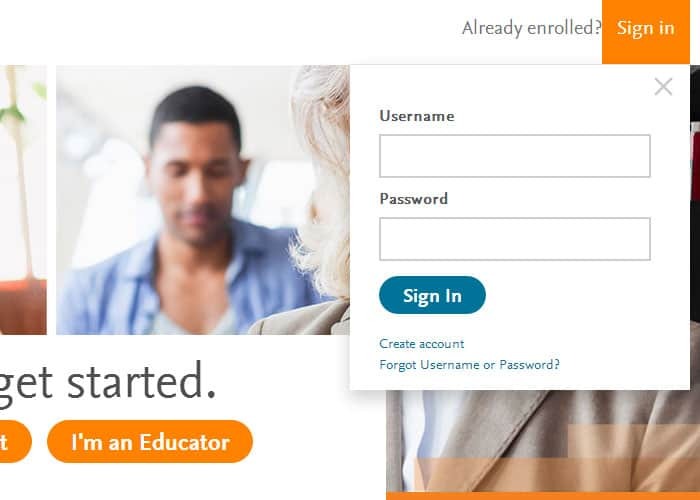 Evolve by Elsevier is an online portal which hosts textbooks, and offers students and teachers alike the opportunity to gain near-instant access to numerous online learning material. Healthcare students can access all of their Elsevier learning materials in a controlled and easy-to-master method. Keep reading to discover our Evolve Elsevier login guide, which takes you through the steps of accessing your account. We also offer important information about registration and your account, including troubleshooting. Before logging in, you will need to create an Evolve account. After you’ve done that, follow these steps to login. Access Evolve’s main page at evolve.elsevier.com. In the upper right corner, select Sign in. In the drop-down file that appears, fill in your username and password. You can also access your Evolve account from a mobile device. Here’s how to do that. Head over to the Evolve homepage linked prior. In the upper right corner, you will notice a small icon depicting a human, with the text Sign in written underneath. Tap on it, and you will get a popup where you can fill in your username and password. Evolve doesn’t have an app that you can download and install on your device, so don’t be tricked by all of the applications which claim to be the real deal. However, if you follow the steps above, you can still access your account information on the go. Access the Sign in drop-down from the homepage. Underneath, click on Forgot username or password? Type your username or email address, and click submit. You will receive an email with a click-through link that lets you reset your password. If you want to contact Elsevier, you can do that via their Contact Us page. You can also call their customer support number at 1.800.401.9962. About 8 days ago I got Hughesnet to replace Centurylink because I moved to a new home. Now I can not get access to my student evolve account that I have been accessing for over a year with CenturyLink. I am able to get to every other site in the world but evolve and I know it is not my desktop because I can not access it from my phone or lap top. I have been in contact with all parties and they all say HughesNet is at fault however HughesNet can not find the problem. Do you have any ideas on how I can fix this without changing internet sources? Elsevier’s Technical Support Center might help you with this issue. You can contact them at 1-800-222-9570.